Mangaluru, Mar 15: The department of Physical Education of St Agnes College (Autonomous) Mangaluru in collaboration with Government First Grade College, Mudipu organised a One Day National level Conference on Sports and Empowerment of Women on 14 March 2019. The Seminar was inaugurated by Prof. Shifana Begum, Executive Director of Kalluru Educational Trust, Prof., Department of Computer Science and Engineering Srinivas University, Mukka and Chief Guest was Smt. Mamatha Gatty, DKZP Member & Ex-Zilla Panchayath President. Dr Kishore Kumar C K, Director of Physical Education, Mangaluru University was Guest of Honour. 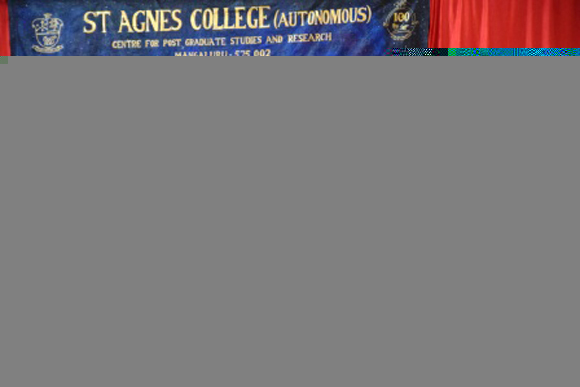 Sr Dr M. Jeswina A.C., Principal, St Agnes College and Dr Giridhar Rao M S, Principal, Govt. First Grade College presided over the ceremony. The conference began with the prayer song followed by the inaugural session. The master of ceremony was Mrs Sheryl Preethika, Dean, Department of Commerce followed by Nreissa Noronha. Mrs Shubha K H, Physical Education Directress of Government First Grade College, Mudipu introduced the guests and welcomed the gathering. The first technical session was held by Dr Aruna Yadiyal, Prof. Unit head, Fr. Muller Medical College, Mangaluru elaborating on the psychological aspects of women that effect their performance in sports. The second technical session was held by Pushpa Kuttanna. The third technical session was held by Dr Akshatha Nayak M, Assistant Prof, Department of Physiotherapy, KMC Hospital Mangaluru. The valedictory programme began with Dr Pushpa Kuttanna and Physical Education directors of both the colleges, Mrs Vasudha S and Mrs Shubha KH as the dignitaries. Dr Pushpa Kuttanna addressed the gathering by encouraging more such conferences as a one such conducted and with her parting message “Inspire yourself and inspire others”. Delegates from Sri Gokarnanatheshwara College gave a positive feedback about the conference on how sports can also be taught and teaching sports is a career option. Ms Nerissa Noronha gave the vote of thanks. The conference concluded with the National Anthem.